High quality building services, we are your local Wirral builders and we are proud of our reputation and craftsmanship over the many years, with a very happy customer success rate we’d like to show you that if you are looking for a builder then you can be our next happy customer. Building your trust in us as a great local company and our services is what we set out to achieve each and every time we undertake a job. 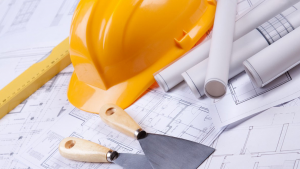 We can handle any project that you may have, our team have a multitude of skills and if we need to work with a partner firm on the job then we make sure that it is a time served tradesman that we have worked with in the past, no shoddy workmanship here we are basing our reputation on it. We’ve built up a great team over the years who are able to satisfy all customer needs, no matter how big or small your job is give us a call to discuss how we can help you achieve your vision. We cover all areas from Birkenhead to Ellesmere Port and then out beyond to Chester and all surrounding areas. We also cover all areas of Merseyside too so please give us a call. If your job is based further afield then our team can travel if necessary to ensure your project is carried out. Most of our team were actually born and raised locally many of which are second and third generation tradesmen, coming from a building family means it is in your blood and we grew up with it. We don’t do things by halves, if you need local professional builder then we’re the building company that you are looking for. It is our policy to give you the best price possible without compromising our work. We pride ourselves on delivering outstanding service so with that in mind we also believe that a fair price for a fair days work too. We won’t source expensive materials and make you pay for it, we will get the right materials for the job and be honest to tell you the price we are paying for it and why. Many companies source materials and hike their prices which then get passed your way, we don’t do that, we keep our prices low and pass those savings directly onto you. Treat others as you want to be treated yourself, this is our life philosophy and we take it into our work too. We won’t leave your home a mess or unsafe for children, we have children and families ourselves and we will treat you the same as if a builder had entered our home – with courtesy, respect and politeness. There is no reason for the old fashion idea of the trades being brash with their trousers hanging down, in this day and age it’s more important to present a professional image of people who are not only friendly but also get the job done and done properly. We understand that in Wirral we have many competitors and you could go with any local Wirral building company. A construction company is only as good as it’s reputation and our reputation is everything to us. Our Wirral builders know that to be able to compete with other local Wirral construction related companies we have to produce not good but great work all the time adhering to our philosophy of “good work wins work”. We aim to be polite, courteous and tidy, this has always put us in good stead with our clients. Will you be next? If you are getting in touch with us because you after after building work in your home then we understand that the disruption that this brings can be stressful. That’s why we aim to get on with the job and cause you as little stress due to disruption as possible. If you need to go to work early, we’ll be there in time for that to happen, if you have children coming home from school then we’ll be very aware of this and act accordingly. Our clients are our life blood and we aim to please on every single job that we undertake, let us prove this to by giving us a call today. Your Local Wirral Builders cover all of the Wirral area and beyond into Liverpool, Chester, Cheshire, Manchester or anywhere in the UK.